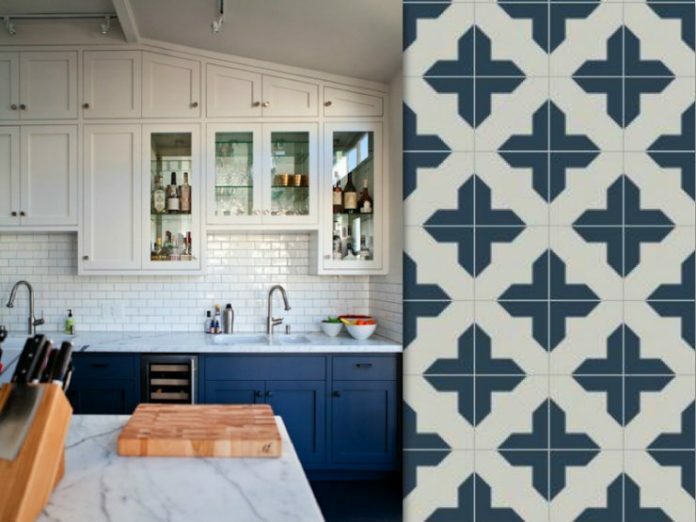 Over on VivaFullHouse, our Badajoz cement tile gets a spot in her round up of her dreams for a kitchen with deep blue or navy cabinets (and our Badajoz concrete tiles of course!). 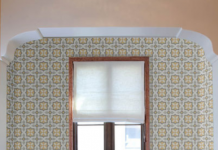 This is an unusual and beautiful color for a kitchen (and for kitchen tile) and we love her use of our Badajoz encaustic tile in reverse of the way we’ve seen them before (for example, as the concrete tile floor in this stunning Jessica Helgerson kitchen, for example). Isn’t it amazing how something as simple as a switch in which color goes where can change how a pattern looks? That’s what we love about our cement tile and our interactive concrete tile catalogue, which lets you play around with different color combinations and different ways of placing the color using a simple drag and drop! 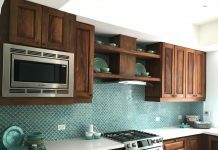 Thinking it’s time to update your kitchen? Maybe we suggest following her lead and painting your cabinets and laying down of our cement tile for use as your floor tile? 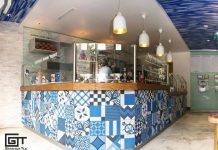 The qualities that make Granada Tile’s cement tiles the perfect choice for use as restaurant’s floor tile — along with their beautiful designs and vivid colors, our concrete tile is long lasting, easy care and low maintenance — are the same ones make it perfect for your tile project, whether used as kitchen kitchen wall tile, kitchen floor tile, kitchen backsplash tile, bathroom tile, shower tile, patio tile or laundry room tile. Start by visiting our cement tile shop to peruse our large selection of in-stock handmade master-crafted cement tiles and call us today at 213-788-4238 to discuss which of our encaustic tile designs would be perfect for your home or restaurant project.